Eastern European 70s prog-rock becomes the focus of DJ Spinna’s next single release on Sound by Sound Records. Known for his extensive Iron Curtain collection that includes vintage vinyl from Poland, East Germany, Hungary, Romania, Czechoslovakia, Yugoslavia and Bulgaria to name a few, DJ Spinna flips through crates to surprise you with a break originally recorded in 1972 by Nurt, a Polish prog-rock group. 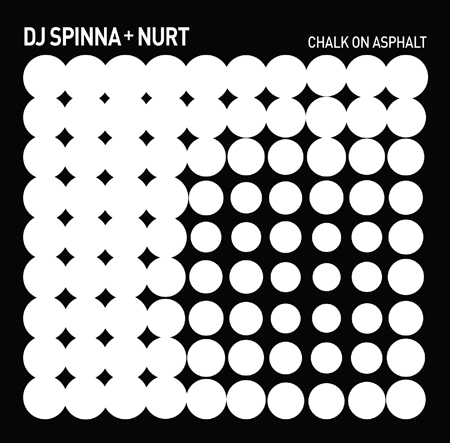 “Chalk on Asphalt” offers DJ Spinna’s powerful edit that exploits a wicked beat flipped with ferocious screams and strong bass guitar slaps. This release is a limited 7-inch of 300 units only, pressed on virgin black vinyl (no additional colors nor recycled blends used). The sleeve exhibits chalk-white ink printed on asphalt-black heavy paper stock. “Chalk on Asphalt” is the first in the series of legally licensed 45rpm 7-inches containing both the original track and it’s remix/re-edit. DJ Spinna’s A-side version exclusively uses samples off of the original track, pressed on the flip side for the avid record collector to compare.